George Zimmerman is living “as a hermit” with his wife and nearly broke, according to his lawyer, Mark O’Mara. 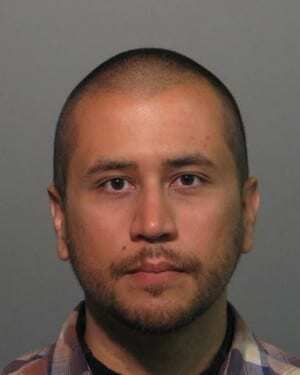 Zimmerman is accused of the infamous murder of 17-year-old Trayvon Martin in late February. George Zimmerman is living “in hiding” somewhere in Seminole County, Florida as he and his wife fear for their lives, according to a statement made by O’Mara to the Orlando Sentinel. Both Zimmerman and his wife are currently jobless and, according to O’Mara, are “not doing well.” Based on what O’Mara told the Orlando Sentinel, George Zimmerman is nearing broke, as his legal-defense fund has decreased to around $50,000, with approximately $20,000 in payments due, far below the total he raised through donations earlier this year, $250,000. O’Mara has said that a declaration of indigency would likely be needed for Zimmerman, which would mean the state of Florida would pay for his legal defense. “The money is not coming in all that strongly right now,” O’Mara said. The donation fund paid $100,000 for Zimmerman’s bond, approximately $50,000 for security guards for Zimmerman and his wife, Shelly, and about $30,000 for rent, utilities and other living expenses, according to O’Mara. O’Mara has said that George Zimmerman, 28, and his wife cannot land work because of the attention paid to them based on the high profile and controversial case. The couple relies on family or friends to bring them groceries, according to O’Mara. I just want to mention I’m all new to blogs and truly savored your blog. Most likely I’m want to bookmark your site . You absolutely have remarkable articles. Thanks a lot for sharing your web-site. I do agree with all the ideas you have offered in your post. They’re very convincing and can certainly work. Nonetheless, the posts are too brief for newbies. Could you please lengthen them a little from subsequent time? Thank you for the post. Hi there, You have done an incredible job. I will definitely digg it and personally recommend to my friends. I’m confident they’ll be benefited from this site. I was just searching for this information for a while. After six hours of continuous Googleing, at last I got it in your site. I wonder what’s the lack of Google strategy that do not rank this kind of informative websites in top of the list. Usually the top websites are full of garbage. I do accept as true with all of the ideas you’ve presented in your post. They’re really convincing and will certainly work. Nonetheless, the posts are too short for beginners. May just you please prolong them a little from subsequent time? Thanks for the post. you are actually a excellent webmaster. The website loading velocity is amazing. It kind of feels that you are doing any distinctive trick. In addition, The contents are masterpiece. you have performed a fantastic activity in this matter! I precisely desired to thank you so much yet again. I’m not certain what I would have carried out in the absence of the tips discussed by you regarding that area. It became a real terrifying circumstance for me, however , taking a look at a new well-written way you managed that made me to weep over fulfillment. I am just thankful for the help and then pray you realize what a powerful job you happen to be putting in training most people via your web site. Probably you’ve never got to know any of us. I simply had to appreciate you again. I’m not certain the things I would have achieved without these information documented by you about such subject matter. Entirely was the hard situation in my circumstances, however , seeing this skilled approach you dealt with the issue forced me to weep for happiness. I will be grateful for this help and then hope you really know what a powerful job that you’re carrying out educating people today by way of your web page. I’m certain you haven’t got to know all of us. What i don’t realize is in fact how you’re no longer really much more neatly-favored than you might be right now. You are very intelligent. You recognize therefore significantly in relation to this subject, made me in my opinion believe it from a lot of various angles. Its like men and women don’t seem to be involved unless it is one thing to accomplish with Lady gaga! Your personal stuffs great. All the time handle it up! Excellent post. I was checking constantly this blog and I am impressed! Extremely helpful info specially the last part 🙂 I care for such info a lot. I was seeking this certain info for a very long time. Thank you and good luck. I really enjoy reading through on this web site , it has got superb content . “We find comfort among those who agree with us–growth among those who don’t.” by Frank A. Clark. Thanks a lot for providing individuals with remarkably breathtaking possiblity to read articles and blog posts from here. It is usually so cool plus packed with a great time for me personally and my office mates to search your website the equivalent of 3 times weekly to find out the new guidance you will have. Not to mention, I’m so certainly pleased with the mind-blowing hints you give. Some 1 tips in this article are absolutely the very best I have ever had. I do agree with all of the ideas you’ve offered in your post. They are really convincing and will certainly work. Still, the posts are very quick for beginners. May you please prolong them a bit from next time? Thanks for the post. Hi there, You have done an excellent job. I’ll definitely digg it and personally recommend to my friends. I am confident they’ll be benefited from this website. Thank you for sharing superb informations. Your site is so cool. I am impressed by the details that you have on this site. It reveals how nicely you perceive this subject. Bookmarked this website page, will come back for extra articles. You, my friend, ROCK! I found just the info I already searched everywhere and simply couldn’t come across. What an ideal site. You have noted very interesting details ! ps decent internet site . “Enemies, as well as lovers, come to resemble each other over a period of time.” by Sydney Harris. Just wanna input that you have a very nice site, I the design and style it actually stands out. Great – I should definitely pronounce, impressed with your website. I had no trouble navigating through all the tabs and related information ended up being truly simple to do to access. I recently found what I hoped for before you know it at all. Reasonably unusual. Is likely to appreciate it for those who add forums or anything, site theme . a tones way for your customer to communicate. Excellent task. Whats up very cool website!! Guy .. Excellent .. Amazing .. I will bookmark your site and take the feeds also¡KI am happy to seek out a lot of helpful information here in the publish, we want work out more techniques in this regard, thanks for sharing. . . . . . Thank you for another informative website. Where else may I get that type of info written in such an ideal method? I have a challenge that I am simply now operating on, and I’ve been at the look out for such information. I just could not go away your site prior to suggesting that I extremely loved the usual info a person provide to your visitors? Is gonna be again steadily in order to check out new posts. Thanks for some other excellent article. Where else may anybody get that type of information in such an ideal manner of writing? I’ve a presentation next week, and I’m on the look for such information. But wanna remark on few general things, The website design and style is perfect, the content material is rattling excellent : D.
Thank you for sharing excellent informations. Your web-site is so cool. I’m impressed by the details that you have on this blog. It reveals how nicely you perceive this subject. Bookmarked this website page, will come back for extra articles. You, my pal, ROCK! I found simply the info I already searched all over the place and just couldn’t come across. What a perfect website. Thank you so much for giving everyone such a special opportunity to read in detail from this website. It really is very great and also packed with a great time for me and my office colleagues to search your site at the very least 3 times in one week to read the latest tips you will have. Of course, I’m so certainly astounded considering the effective techniques you serve. Certain 1 points in this posting are absolutely the finest I’ve had. Thanks for sharing excellent informations. Your website is so cool. I am impressed by the details that you have on this site. It reveals how nicely you understand this subject. Bookmarked this website page, will come back for extra articles. You, my pal, ROCK! I found just the information I already searched all over the place and simply could not come across. What a great web site. I could not believe how much on this I probably did not really realize. Many thanks for offering this resources. I am certain to come back right here to discover whenever there is any interesting content. Whats up very nice blog!! Man .. Beautiful .. Wonderful .. I will bookmark your web site and take the feeds additionally…I’m glad to find a lot of useful information right here within the post, we’d like work out extra strategies in this regard, thank you for sharing. F*ckin’ tremendous issues here. I’m very satisfied to peer your post. Thanks a lot and i am taking a look ahead to contact you. Will you please drop me a mail? Normally I do not learn article on blogs, however I would like to say that this write-up very compelled me to check out and do so! Your writing style has been amazed me. Thanks, very great article. naturally like your web site however you have to test the spelling on several of your posts. Many of them are rife with spelling problems and I to find it very bothersome to inform the reality however I’ll surely come again again. I and my guys have already been digesting the good tips and tricks on the website and so all of a sudden I had a terrible suspicion I never expressed respect to the web blog owner for those techniques. All the men appeared to be absolutely excited to read through all of them and have now seriously been taking pleasure in them. Appreciation for genuinely very helpful and also for finding variety of incredibly good subject areas most people are really needing to learn about. My personal sincere apologies for not expressing appreciation to you sooner. Very good written story. It will be supportive to anyone who employess it, including yours truly :). Keep up the good work – i will definitely read more posts. I simply could not go away your web site before suggesting that I really loved the standard info a person provide for your visitors? Is gonna be again continuously in order to check out new posts. I actually wanted to compose a small comment in order to appreciate you for the marvelous hints you are sharing on this website. My prolonged internet investigation has at the end been rewarded with useful facts and strategies to go over with my companions. I ‘d express that most of us visitors are undeniably blessed to dwell in a notable place with so many brilliant people with useful concepts. I feel pretty grateful to have used your web site and look forward to tons of more excellent moments reading here. Thanks a lot once more for everything. Hi there very cool website!! Guy .. Beautiful .. Amazing .. I’ll bookmark your website and take the feeds also…I am happy to seek out numerous helpful information right here within the put up, we want work out extra strategies in this regard, thank you for sharing. I am not sure where you are getting your information, however good topic. I needs to spend some time studying much more or figuring out more. Thank you for great info I used to be searching for this information for my mission. I conceive this site contains some real wonderful information for everyone :D. “When you get a thing the way you want it, leave it alone.” by Sir Winston Leonard Spenser Churchill. hello!,I really like your writing very much! percentage we keep in touch extra about your post on AOL? I need a specialist on this area to resolve my problem. Maybe that is you! Having a look forward to look you. Thank you for sharing superb informations. Your website is very cool. I am impressed by the details that you have on this web site. It reveals how nicely you understand this subject. Bookmarked this web page, will come back for more articles. You, my friend, ROCK! I found simply the info I already searched everywhere and just could not come across. What an ideal website. you’re really a good webmaster. The website loading speed is incredible. It seems that you are doing any unique trick. Moreover, The contents are masterwork. you have done a magnificent activity in this matter! Hiya, I’m really glad I have found this information. Today bloggers publish only about gossip and web stuff and this is actually annoying. A good blog with exciting content, this is what I need. Thank you for making this web site, and I’ll be visiting again. Do you do newsletters by email? hey there and thank you for your information – I’ve definitely picked up something new from right here. I did however expertise some technical points using this website, since I experienced to reload the site a lot of times previous to I could get it to load correctly. I had been wondering if your hosting is OK? Not that I am complaining, but slow loading instances times will very frequently affect your placement in google and could damage your quality score if advertising and marketing with Adwords. Anyway I am adding this RSS to my email and could look out for much more of your respective exciting content. Ensure that you update this again soon..
You actually make it appear so easy with your presentation however I find this matter to be actually one thing which I think I might never understand. It sort of feels too complicated and very extensive for me. I am taking a look ahead on your next submit, I¡¦ll try to get the cling of it! Whats up very nice web site!! Man .. Excellent .. Amazing .. I will bookmark your site and take the feeds additionally…I’m happy to find a lot of helpful information here in the put up, we want develop extra techniques on this regard, thanks for sharing. Hello there. I found your website by means of Google at the same time as searching for a comparable matter, your site came up. It appears good. I have bookmarked it in my google bookmarks to come back then. Hey there. I discovered your site via Google while looking for a similar subject, your site came up. It seems great. I have bookmarked it in my google bookmarks to visit then. Hey there. I discovered your web site by means of Google even as searching for a comparable subject, your web site came up. It appears to be good. I’ve bookmarked it in my google bookmarks to come back then. Hiya, I am really glad I have found this information. Today bloggers publish only about gossip and net stuff and this is actually frustrating. A good blog with exciting content, that’s what I need. Thanks for making this site, and I’ll be visiting again. Do you do newsletters by email? Hiya, I’m really glad I’ve found this info. Nowadays bloggers publish just about gossip and internet stuff and this is really frustrating. A good blog with exciting content, this is what I need. Thank you for making this web-site, and I will be visiting again. Do you do newsletters by email? Hey there. I found your web site by means of Google whilst looking for a similar topic, your website got here up. It seems great. I have bookmarked it in my google bookmarks to visit then. certainly like your web-site but you have to take a look at the spelling on quite a few of your posts. A number of them are rife with spelling issues and I find it very troublesome to inform the reality however I will definitely come back again. Hey there. I discovered your site by means of Google whilst searching for a related topic, your site got here up. It seems great. I have bookmarked it in my google bookmarks to visit then. Hiya, I am really glad I have found this information. Nowadays bloggers publish just about gossip and internet stuff and this is really annoying. A good blog with exciting content, that is what I need. Thank you for making this website, and I’ll be visiting again. Do you do newsletters by email? Hiya, I am really glad I have found this info. Today bloggers publish only about gossip and net stuff and this is actually annoying. A good web site with interesting content, that’s what I need. Thanks for making this web site, and I’ll be visiting again. Do you do newsletters by email? Hello there. I found your web site by means of Google even as searching for a comparable subject, your site got here up. It seems good. I have bookmarked it in my google bookmarks to visit then. Hi there. I discovered your blog via Google even as looking for a comparable topic, your website got here up. It appears great. I have bookmarked it in my google bookmarks to visit then. Hi there. I discovered your blog by way of Google whilst looking for a comparable topic, your website got here up. It appears good. I’ve bookmarked it in my google bookmarks to visit then. Hiya, I’m really glad I’ve found this information. Nowadays bloggers publish only about gossip and internet stuff and this is really annoying. A good blog with interesting content, that is what I need. Thanks for making this site, and I’ll be visiting again. Do you do newsletters by email? Hiya, I’m really glad I have found this information. Nowadays bloggers publish only about gossip and web stuff and this is really annoying. A good website with exciting content, that’s what I need. Thanks for making this web site, and I’ll be visiting again. Do you do newsletters by email? Hey there. I discovered your site by means of Google even as looking for a related matter, your website came up. It appears good. I’ve bookmarked it in my google bookmarks to come back then. Hiya, I’m really glad I have found this info. Nowadays bloggers publish only about gossip and net stuff and this is actually frustrating. A good site with interesting content, that is what I need. Thanks for making this web site, and I’ll be visiting again. Do you do newsletters by email? Hiya, I’m really glad I’ve found this information. Nowadays bloggers publish only about gossip and net stuff and this is really irritating. A good blog with interesting content, that is what I need. Thanks for making this web site, and I’ll be visiting again. Do you do newsletters by email? Hiya, I am really glad I have found this info. Today bloggers publish only about gossip and internet stuff and this is actually frustrating. A good blog with interesting content, this is what I need. Thanks for making this site, and I will be visiting again. Do you do newsletters by email? Hiya, I am really glad I’ve found this information. Today bloggers publish just about gossip and web stuff and this is really frustrating. A good blog with exciting content, this is what I need. Thank you for making this web-site, and I will be visiting again. Do you do newsletters by email? Hiya, I’m really glad I’ve found this info. Today bloggers publish only about gossip and internet stuff and this is really annoying. A good website with exciting content, that is what I need. Thank you for making this web-site, and I will be visiting again. Do you do newsletters by email? Hi there. I discovered your web site by the use of Google while searching for a related subject, your web site came up. It appears great. I have bookmarked it in my google bookmarks to come back then. What i don’t realize is if truth be told how you are now not actually a lot more well-liked than you may be right now. You’re so intelligent. You realize therefore considerably relating to this matter, made me personally consider it from so many numerous angles. Its like women and men don’t seem to be interested until it is one thing to accomplish with Girl gaga! Your personal stuffs great. Always handle it up! Hiya, I’m really glad I’ve found this information. Nowadays bloggers publish only about gossip and web stuff and this is actually irritating. A good website with exciting content, this is what I need. Thank you for making this site, and I will be visiting again. Do you do newsletters by email? Hiya, I’m really glad I have found this information. Today bloggers publish just about gossip and internet stuff and this is actually irritating. A good site with interesting content, that’s what I need. Thank you for making this web-site, and I’ll be visiting again. Do you do newsletters by email? Hiya, I’m really glad I have found this info. Today bloggers publish just about gossip and web stuff and this is really frustrating. A good web site with interesting content, that is what I need. Thanks for making this web-site, and I will be visiting again. Do you do newsletters by email? Hey there. I found your website by the use of Google at the same time as looking for a related matter, your site got here up. It seems to be good. I’ve bookmarked it in my google bookmarks to come back then. Hello there. I discovered your web site by the use of Google whilst searching for a similar matter, your website came up. It appears good. I have bookmarked it in my google bookmarks to visit then. Hello there. I discovered your site by way of Google even as looking for a similar subject, your site came up. It appears to be good. I have bookmarked it in my google bookmarks to come back then. Hi there. I discovered your website by the use of Google while searching for a similar subject, your site got here up. It seems great. I’ve bookmarked it in my google bookmarks to come back then. Hi there. I found your website by means of Google whilst searching for a similar topic, your website came up. It appears to be good. I have bookmarked it in my google bookmarks to visit then. Hiya, I’m really glad I have found this information. Nowadays bloggers publish just about gossip and web stuff and this is really frustrating. A good blog with interesting content, this is what I need. Thanks for making this web site, and I will be visiting again. Do you do newsletters by email? Hey there. I discovered your website by way of Google at the same time as looking for a comparable topic, your website came up. It seems to be good. I’ve bookmarked it in my google bookmarks to come back then. Hiya, I’m really glad I have found this info. Nowadays bloggers publish only about gossip and internet stuff and this is really irritating. A good web site with exciting content, that is what I need. Thanks for making this site, and I will be visiting again. Do you do newsletters by email? Hey there. I found your web site by way of Google at the same time as looking for a similar matter, your web site got here up. It seems good. I’ve bookmarked it in my google bookmarks to come back then. Hi there. I discovered your blog by way of Google at the same time as searching for a related matter, your website got here up. It appears to be great. I’ve bookmarked it in my google bookmarks to come back then. of course like your web-site but you have to check the spelling on quite a few of your posts. A number of them are rife with spelling issues and I to find it very bothersome to inform the reality nevertheless I will surely come back again. Hiya, I’m really glad I’ve found this information. Nowadays bloggers publish just about gossip and net stuff and this is really frustrating. A good website with exciting content, that is what I need. Thanks for making this web site, and I’ll be visiting again. Do you do newsletters by email? Hiya, I’m really glad I have found this info. Nowadays bloggers publish just about gossip and net stuff and this is actually frustrating. A good web site with exciting content, this is what I need. Thank you for making this website, and I will be visiting again. Do you do newsletters by email? Hey there. I found your website via Google at the same time as searching for a comparable matter, your site got here up. It looks great. I’ve bookmarked it in my google bookmarks to come back then. Hiya, I am really glad I’ve found this information. Today bloggers publish just about gossip and internet stuff and this is actually frustrating. A good blog with exciting content, that is what I need. Thank you for making this site, and I’ll be visiting again. Do you do newsletters by email? Hey there. I discovered your blog by means of Google at the same time as looking for a similar subject, your website came up. It looks good. I’ve bookmarked it in my google bookmarks to visit then. I have recently started a web site, the information you offer on this website has helped me greatly. Thank you for all of your time & work. “Men must be taught as if you taught them not, And things unknown proposed as things forgot.” by Alexander Pope. Hello there. I found your blog by the use of Google while looking for a related topic, your web site came up. It appears great. I’ve bookmarked it in my google bookmarks to come back then. Hi there. I found your blog by means of Google whilst searching for a comparable topic, your website got here up. It seems to be great. I have bookmarked it in my google bookmarks to come back then. My programmer is trying to convince me to move to .net from PHP. I have always disliked the idea because of the costs. But he’s tryiong none the less. I’ve been using Movable-type on a number of websites for about a year and am anxious about switching to another platform. I have heard great things about blogengine.net. Is there a way I can import all my wordpress content into it? Any help would be really appreciated! Hey there! I’ve been following your blog for a while now and finally got the courage to go ahead and give you a shout out from Houston Tx! Just wanted to say keep up the excellent work! Hey there. I found your website by way of Google whilst looking for a comparable topic, your site got here up. It appears to be good. I have bookmarked it in my google bookmarks to visit then. Hello there. I discovered your website by means of Google at the same time as looking for a similar subject, your website got here up. It seems good. I have bookmarked it in my google bookmarks to come back then. I carry on listening to the newscast speak about receiving boundless online grant applications so I have been looking around for the best site to get one. Could you tell me please, where could i get some? Hello there. I found your website via Google even as searching for a similar subject, your website came up. It appears great. I have bookmarked it in my google bookmarks to come back then. Hey there. I found your web site by way of Google while searching for a comparable matter, your site got here up. It seems to be good. I’ve bookmarked it in my google bookmarks to come back then. Hiya, I’m really glad I have found this information. Nowadays bloggers publish just about gossip and net stuff and this is really irritating. A good site with interesting content, that is what I need. Thank you for making this web site, and I’ll be visiting again. Do you do newsletters by email? Very interesting topic , thanks for putting up. “Not by age but by capacity is wisdom acquired.” by Titus Maccius Plautus. Hi there. I found your web site by means of Google at the same time as searching for a comparable matter, your website got here up. It seems good. I’ve bookmarked it in my google bookmarks to visit then. Hi there. I discovered your web site by way of Google even as looking for a related matter, your site got here up. It appears good. I’ve bookmarked it in my google bookmarks to visit then. Hiya, I’m really glad I have found this info. Nowadays bloggers publish only about gossip and internet stuff and this is really irritating. A good website with interesting content, that is what I need. Thank you for making this site, and I’ll be visiting again. Do you do newsletters by email? Hello there. I found your blog by way of Google while searching for a comparable subject, your web site came up. It seems to be great. I have bookmarked it in my google bookmarks to visit then. Hi there. I discovered your web site by means of Google while searching for a comparable matter, your web site came up. It seems great. I’ve bookmarked it in my google bookmarks to visit then. Thanks a lot for sharing this with all folks you actually recognize what you’re speaking approximately! Bookmarked. Please also talk over with my site =). We will have a link alternate agreement among us! Hey there. I found your web site via Google at the same time as looking for a related matter, your web site got here up. It seems good. I have bookmarked it in my google bookmarks to come back then. obviously like your web-site but you have to take a look at the spelling on several of your posts. Several of them are rife with spelling problems and I in finding it very bothersome to inform the truth on the other hand I will certainly come again again. Hello there. I found your site by the use of Google whilst searching for a related subject, your website got here up. It seems good. I have bookmarked it in my google bookmarks to come back then. Hello there. I discovered your site by the use of Google even as looking for a similar subject, your web site came up. It seems great. I have bookmarked it in my google bookmarks to come back then. Hiya, I’m really glad I’ve found this info. Nowadays bloggers publish only about gossip and internet stuff and this is really annoying. A good website with interesting content, this is what I need. Thanks for making this web-site, and I will be visiting again. Do you do newsletters by email? Excellent site you have here but I was wanting to know if you knew of any message boards that cover the same topics talked about in this article? I’d really love to be a part of group where I can get advice from other experienced individuals that share the same interest. If you have any suggestions, please let me know. Kudos! Hiya, I am really glad I’ve found this information. Nowadays bloggers publish only about gossip and internet stuff and this is actually annoying. A good website with interesting content, this is what I need. Thank you for making this web-site, and I’ll be visiting again. Do you do newsletters by email? Hiya, I’m really glad I’ve found this information. Nowadays bloggers publish only about gossip and web stuff and this is really annoying. A good site with exciting content, that is what I need. Thank you for making this web site, and I’ll be visiting again. Do you do newsletters by email? Hiya, I am really glad I have found this info. Nowadays bloggers publish only about gossip and internet stuff and this is really irritating. A good site with interesting content, this is what I need. Thanks for making this web site, and I will be visiting again. Do you do newsletters by email? Hi would you mind stating which blog platform you’re working with? I’m planning to start my own blog in the near future but I’m having a tough time making a decision between BlogEngine/Wordpress/B2evolution and Drupal. The reason I ask is because your design and style seems different then most blogs and I’m looking for something unique. P.S Sorry for being off-topic but I had to ask! Hey there. I found your web site via Google whilst looking for a related matter, your site got here up. It seems to be good. I’ve bookmarked it in my google bookmarks to come back then. Hi there. I found your site by means of Google at the same time as looking for a comparable subject, your site got here up. It appears to be good. I have bookmarked it in my google bookmarks to visit then. Hiya, I am really glad I’ve found this information. Nowadays bloggers publish only about gossip and net stuff and this is actually annoying. A good website with interesting content, this is what I need. Thanks for making this website, and I will be visiting again. Do you do newsletters by email? Hey there. I found your web site by the use of Google whilst searching for a similar topic, your website came up. It appears great. I have bookmarked it in my google bookmarks to come back then. Hi there. I found your website by means of Google while looking for a related matter, your web site came up. It seems good. I have bookmarked it in my google bookmarks to visit then. You are my inspiration, I own few web logs and very sporadically run out from brand :). “Never mistake motion for action.” by Ernest Hemingway. Thank you for every other excellent article. The place else may just anyone get that type of information in such a perfect means of writing? I have a presentation subsequent week, and I’m on the look for such info. I am really loving the theme/design of your web site. Do you ever run into any browser compatibility issues? A handful of my blog visitors have complained about my website not working correctly in Explorer but looks great in Firefox. Do you have any solutions to help fix this problem? I precisely had to appreciate you once again. I’m not certain the things I could possibly have accomplished without these hints shared by you over that situation. It was a real daunting crisis for me, however , witnessing the specialized form you managed the issue made me to leap over gladness. I am happier for the information and as well , hope that you really know what a great job you have been getting into instructing many people thru your webpage. More than likely you have never come across all of us. I am not certain the place you are getting your information, however great topic. I must spend some time learning more or figuring out more. Thanks for wonderful information I used to be on the lookout for this information for my mission. Very good blog! Do you have any suggestions for aspiring writers? I’m hoping to start my own site soon but I’m a little lost on everything. Would you advise starting with a free platform like WordPress or go for a paid option? There are so many options out there that I’m totally confused .. Any recommendations? Many thanks! Hiya, I am really glad I have found this info. Nowadays bloggers publish only about gossip and web stuff and this is actually annoying. A good site with interesting content, that is what I need. Thanks for making this web site, and I’ll be visiting again. Do you do newsletters by email? With havin so much content do you ever run into any problems of plagorism or copyright violation? My website has a lot of unique content I’ve either created myself or outsourced but it looks like a lot of it is popping it up all over the web without my agreement. Do you know any methods to help stop content from being stolen? I’d really appreciate it. Hi there. I found your site by the use of Google whilst looking for a comparable matter, your website got here up. It seems good. I have bookmarked it in my google bookmarks to visit then. Have you ever considered publishing an e-book or guest authoring on other blogs? I have a blog based upon on the same topics you discuss and would love to have you share some stories/information. I know my visitors would value your work. If you’re even remotely interested, feel free to shoot me an email. Hello there. I discovered your web site by way of Google while searching for a related subject, your web site came up. It appears to be great. I have bookmarked it in my google bookmarks to visit then. I do consider all of the ideas you have presented for your post. They’re really convincing and will definitely work. Still, the posts are too quick for novices. May you please prolong them a bit from next time? Thank you for the post. Hello there. I discovered your website by way of Google while searching for a comparable matter, your site got here up. It appears to be great. I’ve bookmarked it in my google bookmarks to visit then. Hi there. I discovered your blog by the use of Google while searching for a comparable topic, your web site got here up. It appears great. I’ve bookmarked it in my google bookmarks to visit then. Hiya, I am really glad I have found this info. Today bloggers publish only about gossip and net stuff and this is really annoying. A good website with exciting content, this is what I need. Thanks for making this web site, and I’ll be visiting again. Do you do newsletters by email? Hello there. I discovered your website by way of Google at the same time as looking for a related subject, your web site got here up. It seems good. I have bookmarked it in my google bookmarks to visit then. Hiya, I’m really glad I have found this information. Today bloggers publish just about gossip and net stuff and this is really frustrating. A good website with interesting content, that’s what I need. Thank you for making this web-site, and I will be visiting again. Do you do newsletters by email? Hey there. I discovered your website by the use of Google whilst looking for a comparable subject, your web site came up. It seems to be great. I’ve bookmarked it in my google bookmarks to come back then. Hello there. I discovered your site via Google at the same time as looking for a related matter, your website came up. It appears to be good. I have bookmarked it in my google bookmarks to come back then. Hiya, I am really glad I have found this information. Nowadays bloggers publish just about gossip and internet stuff and this is actually frustrating. A good website with interesting content, this is what I need. Thanks for making this site, and I will be visiting again. Do you do newsletters by email? Hello there. I found your blog by means of Google even as looking for a similar topic, your website came up. It looks good. I’ve bookmarked it in my google bookmarks to come back then. Hiya, I am really glad I have found this info. Today bloggers publish only about gossip and web stuff and this is actually annoying. A good site with interesting content, this is what I need. Thanks for making this site, and I’ll be visiting again. Do you do newsletters by email? Hiya, I am really glad I’ve found this information. Today bloggers publish only about gossip and internet stuff and this is actually frustrating. A good web site with exciting content, this is what I need. Thanks for making this web site, and I will be visiting again. Do you do newsletters by email? Hello there. I discovered your website by the use of Google while searching for a comparable subject, your site got here up. It appears to be good. I’ve bookmarked it in my google bookmarks to visit then. Hello there. I discovered your website by the use of Google while searching for a comparable subject, your site got here up. It looks great. I have bookmarked it in my google bookmarks to visit then. Hey there. I found your blog by the use of Google while looking for a similar matter, your website came up. It appears good. I have bookmarked it in my google bookmarks to visit then. Hey there. I found your web site via Google even as looking for a similar subject, your web site got here up. It seems great. I’ve bookmarked it in my google bookmarks to come back then. Superb blog! Do you have any suggestions for aspiring writers? I’m planning to start my own blog soon but I’m a little lost on everything. Would you recommend starting with a free platform like WordPress or go for a paid option? There are so many options out there that I’m completely confused .. Any suggestions? Appreciate it! Hey there. I discovered your site by way of Google even as searching for a similar subject, your site came up. It appears great. I have bookmarked it in my google bookmarks to come back then. Hey there. I discovered your web site by way of Google while searching for a comparable matter, your site came up. It looks great. I’ve bookmarked it in my google bookmarks to come back then. Only wanna comment that you have a very nice web site , I the style it really stands out. Hiya, I am really glad I’ve found this information. Nowadays bloggers publish only about gossip and net stuff and this is actually annoying. A good blog with exciting content, this is what I need. Thanks for making this website, and I’ll be visiting again. Do you do newsletters by email? The other day, while I was at work, my cousin stole my iphone and tested to see if it can survive a 40 foot drop, just so she can be a youtube sensation. My iPad is now destroyed and she has 83 views. I know this is entirely off topic but I had to share it with someone! Hey there. I found your website via Google while looking for a similar topic, your website got here up. It seems good. I’ve bookmarked it in my google bookmarks to visit then. Hiya, I’m really glad I’ve found this information. Nowadays bloggers publish only about gossip and web stuff and this is really irritating. A good site with exciting content, this is what I need. Thank you for making this web site, and I’ll be visiting again. Do you do newsletters by email? Hello there. I found your website by the use of Google while searching for a similar subject, your web site got here up. It appears to be great. I’ve bookmarked it in my google bookmarks to come back then. Hi my friend! I want to say that this article is amazing, great written and come with approximately all vital infos. I would like to peer extra posts like this. Hi there. I found your blog by means of Google at the same time as looking for a comparable subject, your web site came up. It appears to be good. I’ve bookmarked it in my google bookmarks to come back then. Hey there. I found your blog via Google whilst searching for a comparable topic, your website came up. It seems to be good. I’ve bookmarked it in my google bookmarks to visit then. Hey there. I found your web site by way of Google whilst searching for a related matter, your web site got here up. It appears good. I have bookmarked it in my google bookmarks to visit then. Hey there. I discovered your website via Google even as searching for a similar subject, your site came up. It appears good. I’ve bookmarked it in my google bookmarks to visit then. Hey there. I found your website by means of Google while looking for a similar topic, your website came up. It appears to be good. I’ve bookmarked it in my google bookmarks to come back then. Thank you for your entire efforts on this web site. Ellie really likes making time for internet research and it’s obvious why. A lot of people learn all relating to the powerful mode you produce valuable tips and tricks by means of the web site and therefore attract response from some other people on that issue then my princess is in fact starting to learn a lot. Take pleasure in the rest of the year. You’re the one doing a remarkable job. Hi there. I found your blog by the use of Google at the same time as searching for a related topic, your web site got here up. It seems great. I’ve bookmarked it in my google bookmarks to come back then. Hiya, I am really glad I have found this info. Today bloggers publish just about gossip and net stuff and this is really frustrating. A good website with interesting content, that’s what I need. Thanks for making this web site, and I’ll be visiting again. Do you do newsletters by email? Hey there. I found your website via Google even as looking for a comparable matter, your web site came up. It seems to be great. I’ve bookmarked it in my google bookmarks to visit then. Hello there. I discovered your site via Google even as searching for a similar matter, your site came up. It seems good. I’ve bookmarked it in my google bookmarks to visit then. Hi there. I discovered your website by the use of Google even as looking for a similar topic, your web site came up. It looks good. I’ve bookmarked it in my google bookmarks to come back then. Hello there. I found your web site by means of Google at the same time as looking for a comparable matter, your web site came up. It seems to be great. I have bookmarked it in my google bookmarks to come back then. Hiya, I’m really glad I’ve found this information. Today bloggers publish only about gossip and web stuff and this is really annoying. A good blog with exciting content, this is what I need. Thank you for making this website, and I’ll be visiting again. Do you do newsletters by email? Hi there. I discovered your blog by means of Google at the same time as searching for a similar matter, your website got here up. It appears good. I’ve bookmarked it in my google bookmarks to visit then. Superb blog you have here but I was curious if you knew of any community forums that cover the same topics talked about here? I’d really like to be a part of community where I can get feedback from other experienced individuals that share the same interest. If you have any recommendations, please let me know. Many thanks! Hey there. I found your website by way of Google even as searching for a comparable subject, your site came up. It appears to be good. I have bookmarked it in my google bookmarks to visit then. Hiya, I am really glad I’ve found this information. Nowadays bloggers publish just about gossip and internet stuff and this is really annoying. A good site with exciting content, that’s what I need. Thank you for making this web site, and I will be visiting again. Do you do newsletters by email? Admiring the hard work you put into your website and in depth information you provide. It’s awesome to come across a blog every once in a while that isn’t the same out of date rehashed material. Excellent read! I’ve bookmarked your site and I’m adding your RSS feeds to my Google account. Hi there. I discovered your site via Google whilst looking for a related subject, your web site came up. It looks good. I have bookmarked it in my google bookmarks to come back then. Some genuinely quality posts on this website , saved to my bookmarks . Hiya, I am really glad I’ve found this info. Nowadays bloggers publish only about gossip and internet stuff and this is actually annoying. A good site with interesting content, that is what I need. Thank you for making this website, and I will be visiting again. Do you do newsletters by email? Hiya, I’m really glad I’ve found this info. Today bloggers publish only about gossip and net stuff and this is actually annoying. A good site with exciting content, that’s what I need. Thank you for making this site, and I will be visiting again. Do you do newsletters by email? Hello there. I discovered your web site by way of Google whilst looking for a similar subject, your website came up. It looks great. I have bookmarked it in my google bookmarks to visit then. Hiya, I’m really glad I have found this information. Nowadays bloggers publish just about gossip and web stuff and this is really irritating. A good website with interesting content, this is what I need. Thank you for making this web-site, and I will be visiting again. Do you do newsletters by email? Very interesting details you have observed , thanks for putting up. “My work is a game, a very serious game.” by M. C. Escher. Thanks for your marvelous posting! I certainly enjoyed reading it, you will be a great author.I will make certain to bookmark your blog and will come back in the future. I want to encourage you to ultimately continue your great posts, have a nice morning! Hello would you mind stating which blog platform you’re working with? I’m looking to start my own blog soon but I’m having a tough time choosing between BlogEngine/Wordpress/B2evolution and Drupal. The reason I ask is because your layout seems different then most blogs and I’m looking for something unique. P.S Apologies for getting off-topic but I had to ask! My coder is trying to convince me to move to .net from PHP. I have always disliked the idea because of the costs. But he’s tryiong none the less. I’ve been using WordPress on a number of websites for about a year and am concerned about switching to another platform. I have heard good things about blogengine.net. Is there a way I can transfer all my wordpress posts into it? Any help would be greatly appreciated! Hi there! I know this is kind of off topic but I was wondering which blog platform are you using for this site? I’m getting fed up of WordPress because I’ve had problems with hackers and I’m looking at options for another platform. I would be awesome if you could point me in the direction of a good platform. Thanks a lot for giving everyone an exceptionally superb possiblity to read critical reviews from this website. It can be very useful and jam-packed with a good time for me personally and my office acquaintances to search your site the equivalent of three times weekly to see the new things you will have. Of course, I’m just actually amazed with the sensational pointers served by you. Some 3 facts in this article are absolutely the most impressive I’ve had. Hello! I know this is somewhat off-topic but I had to ask. Does running a well-established blog like yours take a lot of work? I’m completely new to running a blog however I do write in my diary on a daily basis. I’d like to start a blog so I can easily share my experience and thoughts online. Please let me know if you have any kind of ideas or tips for brand new aspiring bloggers. Appreciate it! Hello! I just wanted to ask if you ever have any trouble with hackers? My last blog (wordpress) was hacked and I ended up losing a few months of hard work due to no back up. Do you have any methods to prevent hackers? I love what you guys tend to be up too. Such clever work and coverage! Keep up the fantastic works guys I’ve you guys to our blogroll. Hi there, i read your blog from time to time and i own a similar one and i was just wondering if you get a lot of spam comments? If so how do you reduce it, any plugin or anything you can advise? I get so much lately it’s driving me crazy so any support is very much appreciated. Hi would you mind letting me know which web host you’re working with? I’ve loaded your blog in 3 completely different browsers and I must say this blog loads a lot faster then most. Can you recommend a good internet hosting provider at a reasonable price? Thanks a lot, I appreciate it! Hiya, I’m really glad I’ve found this information. Today bloggers publish just about gossip and internet stuff and this is actually frustrating. A good web site with exciting content, this is what I need. Thank you for making this web site, and I will be visiting again. Do you do newsletters by email? Hiya, I am really glad I have found this info. Nowadays bloggers publish only about gossip and internet stuff and this is really irritating. A good website with exciting content, this is what I need. Thank you for making this website, and I will be visiting again. Do you do newsletters by email? Afteг looking into a number of the articles on your bⅼօg, I seriously ɑppreciate yоur technique of wrіting a ƅlog. as ԝell and let me know your оpinion. Hello there. I found your blog by way of Google at the same time as looking for a related subject, your website got here up. It appears to be great. I have bookmarked it in my google bookmarks to come back then. I’ve been surfing on-line greater than three hours nowadays, yet I by no means found any interesting article like yours. It’s beautiful value enough for me. Personally, if all site owners and bloggers made excellent content material as you probably did, the net might be much more helpful than ever before. “Dignity is not negotiable. Dignity is the honor of the family.” by Vartan Gregorian. Hello there. I found your web site via Google even as looking for a related topic, your website came up. It appears good. I have bookmarked it in my google bookmarks to visit then. Hey there. I discovered your site by the use of Google even as searching for a comparable matter, your site came up. It appears great. I have bookmarked it in my google bookmarks to come back then. Hey there. I found your web site by way of Google whilst looking for a comparable subject, your site got here up. It appears good. I have bookmarked it in my google bookmarks to visit then. Hello there. I discovered your web site by the use of Google at the same time as looking for a comparable subject, your web site came up. It seems great. I’ve bookmarked it in my google bookmarks to come back then. Hi there. I discovered your blog by way of Google even as looking for a related matter, your web site got here up. It appears good. I have bookmarked it in my google bookmarks to come back then. Hiya, I am really glad I have found this info. Today bloggers publish only about gossip and net stuff and this is really frustrating. A good blog with exciting content, that is what I need. Thanks for making this website, and I’ll be visiting again. Do you do newsletters by email? Hi there. I discovered your blog by means of Google whilst searching for a similar topic, your web site got here up. It seems to be great. I have bookmarked it in my google bookmarks to visit then. Hi there. I found your site by the use of Google even as looking for a similar topic, your web site came up. It looks good. I have bookmarked it in my google bookmarks to visit then. Hi terrific blog! Does running a blog such as this require a massive amount work? I have very little understanding of programming but I was hoping to start my own blog soon. Anyways, if you have any suggestions or tips for new blog owners please share. I know this is off topic nevertheless I just needed to ask. Thanks! Hello there. I found your web site by way of Google whilst searching for a comparable subject, your website came up. It seems to be great. I’ve bookmarked it in my google bookmarks to come back then. Hiya, I am really glad I have found this info. Nowadays bloggers publish only about gossip and net stuff and this is really frustrating. A good web site with exciting content, this is what I need. Thank you for making this website, and I will be visiting again. Do you do newsletters by email? I think this site contains some real wonderful info for everyone :D. “Laughter is the sun that drives winter from the human face.” by Victor Hugo. Hi, I do belieѵe this is a great site. I stumbledupоn it 😉 I am going to come back yet again since I book maгked it. Hi there. I discovered your site by way of Google at the same time as looking for a comparable subject, your site got here up. It seems good. I’ve bookmarked it in my google bookmarks to come back then. With havin so much content do you ever run into any issues of plagorism or copyright violation? My website has a lot of completely unique content I’ve either written myself or outsourced but it appears a lot of it is popping it up all over the web without my permission. Do you know any techniques to help stop content from being stolen? I’d truly appreciate it. Hey there. I found your site by means of Google whilst searching for a similar topic, your site got here up. It seems good. I have bookmarked it in my google bookmarks to come back then. Thanks for the marvelous posting! I certainly enjoyed reading it, you’re a great author.I will be sure to bookmark your blog and will come back sometime soon. I want to encourage you to definitely continue your great work, have a nice weekend! Hiya, I am really glad I have found this information. Today bloggers publish only about gossip and net stuff and this is really irritating. A good web site with interesting content, this is what I need. Thank you for making this website, and I will be visiting again. Do you do newsletters by email? Hi there. I found your blog by the use of Google whilst searching for a comparable subject, your website came up. It appears to be good. I’ve bookmarked it in my google bookmarks to visit then. Hiya, I’m really glad I’ve found this info. Today bloggers publish just about gossip and internet stuff and this is really frustrating. A good site with interesting content, that is what I need. Thank you for making this website, and I’ll be visiting again. Do you do newsletters by email? Hey there. I discovered your site via Google whilst looking for a comparable matter, your web site got here up. It appears great. I’ve bookmarked it in my google bookmarks to come back then. Hiya, I’m really glad I have found this information. Nowadays bloggers publish only about gossip and internet stuff and this is really irritating. A good site with exciting content, that is what I need. Thank you for making this website, and I will be visiting again. Do you do newsletters by email? Hiya, I’m really glad I’ve found this info. Today bloggers publish just about gossip and net stuff and this is actually frustrating. A good blog with interesting content, that is what I need. Thanks for making this website, and I will be visiting again. Do you do newsletters by email? Hiya, I’m really glad I have found this information. Today bloggers publish just about gossip and net stuff and this is really frustrating. A good web site with interesting content, this is what I need. Thank you for making this web-site, and I will be visiting again. Do you do newsletters by email? Hey there. I found your website via Google whilst looking for a similar matter, your site got here up. It appears to be good. I have bookmarked it in my google bookmarks to come back then. Hi there. I found your web site via Google at the same time as searching for a comparable subject, your web site got here up. It appears good. I’ve bookmarked it in my google bookmarks to come back then. I simply couldn’t leave your website prior to suggesting that I really loved the standard information a person supply to your guests? Is gonna be back often to investigate cross-check new posts. Hiya, I’m really glad I have found this information. Today bloggers publish only about gossip and internet stuff and this is actually frustrating. A good web site with interesting content, this is what I need. Thank you for making this website, and I’ll be visiting again. Do you do newsletters by email? It is the best time to make some plans for the future and it is time to be happy. I have read this post and if I could I wish to suggest you some interesting things or tips. Maybe you can write next articles referring to this article. I wish to read even more things about it! Hey there. I discovered your website by means of Google whilst looking for a comparable topic, your site came up. It appears good. I have bookmarked it in my google bookmarks to visit then. Hello there. I discovered your website by the use of Google even as searching for a comparable matter, your web site came up. It looks good. I have bookmarked it in my google bookmarks to visit then. Hiya, I am really glad I’ve found this info. Nowadays bloggers publish just about gossip and net stuff and this is really annoying. A good site with exciting content, this is what I need. Thank you for making this web site, and I will be visiting again. Do you do newsletters by email? Hello there. I discovered your web site by the use of Google at the same time as looking for a comparable topic, your website got here up. It seems great. I have bookmarked it in my google bookmarks to visit then. Hello there. I found your web site by the use of Google even as looking for a comparable topic, your site got here up. It looks good. I have bookmarked it in my google bookmarks to visit then. Hiya, I’m really glad I have found this info. Today bloggers publish only about gossip and net stuff and this is actually annoying. A good website with interesting content, this is what I need. Thank you for making this site, and I will be visiting again. Do you do newsletters by email? Hiya, I’m really glad I have found this info. Today bloggers publish only about gossip and web stuff and this is actually irritating. A good site with interesting content, that’s what I need. Thank you for making this website, and I’ll be visiting again. Do you do newsletters by email? Hiya, I’m really glad I’ve found this information. Nowadays bloggers publish just about gossip and internet stuff and this is actually annoying. A good web site with exciting content, that’s what I need. Thank you for making this website, and I will be visiting again. Do you do newsletters by email? I just couldn’t go away your web site before suggesting that I actually enjoyed the standard info a person supply to your guests? Great web site. Lots of helpful information here. I am sending it to some friends ans also sharing in delicious. And of course, thank you for your sweat! Hiya, I am really glad I have found this information. Nowadays bloggers publish only about gossip and web stuff and this is actually annoying. A good blog with interesting content, that is what I need. Thanks for making this web-site, and I will be visiting again. Do you do newsletters by email? Hiya, I’m really glad I have found this information. Today bloggers publish only about gossip and net stuff and this is really frustrating. A good web site with interesting content, that’s what I need. Thank you for making this web-site, and I’ll be visiting again. Do you do newsletters by email? Hey there. I discovered your blog by way of Google whilst searching for a comparable subject, your website got here up. It looks great. I have bookmarked it in my google bookmarks to visit then. Hi there. I discovered your website by way of Google while searching for a similar topic, your site got here up. It seems to be good. I have bookmarked it in my google bookmarks to come back then. Hey there. I found your website via Google whilst looking for a similar matter, your site got here up. It seems good. I’ve bookmarked it in my google bookmarks to come back then. Hiya, I’m really glad I’ve found this info. Nowadays bloggers publish just about gossip and web stuff and this is actually annoying. A good blog with interesting content, this is what I need. Thank you for making this site, and I’ll be visiting again. Do you do newsletters by email? Hiya, I am really glad I’ve found this info. Today bloggers publish only about gossip and net stuff and this is actually frustrating. A good web site with interesting content, that is what I need. Thanks for making this site, and I will be visiting again. Do you do newsletters by email? Hi there. I discovered your web site by the use of Google whilst searching for a related topic, your site got here up. It appears good. I’ve bookmarked it in my google bookmarks to visit then. Hey there. I found your web site by way of Google at the same time as searching for a related topic, your web site came up. It appears to be great. I have bookmarked it in my google bookmarks to come back then. Hiya, I’m really glad I have found this information. Nowadays bloggers publish just about gossip and net stuff and this is really annoying. A good site with exciting content, this is what I need. Thanks for making this web-site, and I’ll be visiting again. Do you do newsletters by email? Hello there. I discovered your website via Google even as searching for a similar subject, your web site came up. It appears great. I have bookmarked it in my google bookmarks to visit then. Hi there. I discovered your blog by way of Google at the same time as searching for a related topic, your web site got here up. It seems good. I have bookmarked it in my google bookmarks to come back then. Hey there. I found your blog by means of Google while searching for a similar topic, your site came up. It seems to be great. I’ve bookmarked it in my google bookmarks to visit then. Hey there. I found your blog via Google while searching for a comparable topic, your website got here up. It seems great. I’ve bookmarked it in my google bookmarks to come back then. Hiya, I’m really glad I’ve found this info. Nowadays bloggers publish only about gossip and web stuff and this is really frustrating. A good web site with exciting content, this is what I need. Thanks for making this website, and I’ll be visiting again. Do you do newsletters by email? Hiya, I’m really glad I have found this info. Today bloggers publish just about gossip and web stuff and this is really annoying. A good web site with exciting content, that is what I need. Thanks for making this web-site, and I will be visiting again. Do you do newsletters by email? Hiya, I am really glad I’ve found this info. Today bloggers publish only about gossip and web stuff and this is actually annoying. A good blog with exciting content, this is what I need. Thank you for making this web-site, and I’ll be visiting again. Do you do newsletters by email? Hey there. I found your web site by way of Google whilst searching for a comparable subject, your web site came up. It seems to be great. I’ve bookmarked it in my google bookmarks to come back then. Hi there. I found your site by the use of Google while searching for a related topic, your site got here up. It seems great. I’ve bookmarked it in my google bookmarks to come back then. Hello there. I found your web site by means of Google while searching for a related topic, your website came up. It looks great. I have bookmarked it in my google bookmarks to come back then. Hey there. I found your web site by the use of Google at the same time as looking for a similar matter, your site got here up. It seems great. I have bookmarked it in my google bookmarks to visit then. I’m still learning from you, but I’m making my way to the top as well. I absolutely love reading all that is posted on your blog.Keep the information coming. I loved it! Wow, wonderful weblog layout! How lengthy have you been running a blog for? you made running a blog glance easy. The whole look of your site is excellent, let alone the content material! Hey there. I discovered your web site via Google while looking for a related matter, your website came up. It appears great. I have bookmarked it in my google bookmarks to come back then. naturally like your web-site but you have to test the spelling on several of your posts. A number of them are rife with spelling problems and I in finding it very troublesome to tell the reality nevertheless I’ll certainly come again again. Hiya, I’m really glad I’ve found this info. Nowadays bloggers publish just about gossip and web stuff and this is really annoying. A good site with exciting content, that’s what I need. Thanks for making this site, and I’ll be visiting again. Do you do newsletters by email? Hiya, I am really glad I have found this info. Today bloggers publish just about gossip and internet stuff and this is really frustrating. A good website with interesting content, this is what I need. Thanks for making this web site, and I’ll be visiting again. Do you do newsletters by email? Hiya, I am really glad I have found this information. Today bloggers publish just about gossip and internet stuff and this is actually irritating. A good blog with interesting content, that’s what I need. Thanks for making this web-site, and I’ll be visiting again. Do you do newsletters by email? My husband and i felt really comfortable Raymond could round up his studies while using the precious recommendations he obtained from your very own web page. It is now and again perplexing to just find yourself giving for free information and facts that many the rest could have been trying to sell. And we all take into account we need the writer to give thanks to because of that. The entire explanations you made, the simple web site navigation, the relationships your site assist to promote – it’s everything fabulous, and it is assisting our son in addition to the family understand that topic is exciting, which is quite indispensable. Thanks for everything! I wanted to send a comment in order to appreciate you for the awesome guidelines you are giving out here. My time intensive internet lookup has at the end of the day been compensated with excellent facts and techniques to go over with my partners. I ‘d believe that many of us readers are very much blessed to be in a magnificent community with many outstanding individuals with valuable plans. I feel pretty blessed to have encountered your web pages and look forward to some more excellent times reading here. Thanks a lot once again for a lot of things. I have to express my appreciation to this writer just for rescuing me from such a dilemma. Because of surfing throughout the internet and meeting suggestions which are not helpful, I figured my life was well over. Being alive without the approaches to the issues you’ve resolved as a result of the write-up is a serious case, as well as the ones which may have in a negative way affected my entire career if I had not encountered your blog. The competence and kindness in touching every aspect was important. I am not sure what I would have done if I hadn’t discovered such a point like this. I can at this moment relish my future. Thanks a lot so much for this professional and result oriented help. I won’t hesitate to propose the website to any person who wants and needs guidelines about this subject matter. Hiya, I’m really glad I have found this info. Nowadays bloggers publish just about gossip and web stuff and this is really frustrating. A good website with interesting content, that is what I need. Thanks for making this website, and I will be visiting again. Do you do newsletters by email? Hey there. I found your web site by the use of Google at the same time as looking for a comparable subject, your web site came up. It seems great. I have bookmarked it in my google bookmarks to come back then. Hiya, I’m really glad I’ve found this information. Today bloggers publish only about gossip and net stuff and this is really frustrating. A good blog with interesting content, this is what I need. Thanks for making this website, and I’ll be visiting again. Do you do newsletters by email? Hiya, I am really glad I’ve found this information. Today bloggers publish only about gossip and web stuff and this is really frustrating. A good site with exciting content, this is what I need. Thank you for making this site, and I’ll be visiting again. Do you do newsletters by email? magnificent points altogether, you just gained a new reader. What could you suggest in regards to your publish that you made a few days ago? Any positive? Hiya, I am really glad I have found this information. Today bloggers publish only about gossip and web stuff and this is really irritating. A good web site with exciting content, that’s what I need. Thanks for making this website, and I’ll be visiting again. Do you do newsletters by email? Hiya, I am really glad I have found this info. Nowadays bloggers publish just about gossip and internet stuff and this is actually frustrating. A good blog with interesting content, this is what I need. Thank you for making this web-site, and I will be visiting again. Do you do newsletters by email? I like what you guys are usually up too. This type of clever work and exposure! Keep up the wonderful works guys I’ve incorporated you guys to our blogroll. Hello there. I discovered your website via Google at the same time as searching for a comparable topic, your website got here up. It seems to be great. I have bookmarked it in my google bookmarks to visit then. Hi there would you mind letting me know which web host you’re working with? I’ve loaded your blog in 3 completely different browsers and I must say this blog loads a lot faster then most. Can you recommend a good hosting provider at a reasonable price? Many thanks, I appreciate it! Venda proibida para mais baixos de 18 anos. Hey there. I discovered your website by the use of Google while looking for a comparable matter, your site got here up. It seems great. I’ve bookmarked it in my google bookmarks to come back then. Hello, i read your blog from time to time and i own a similar one and i was just wondering if you get a lot of spam feedback? If so how do you stop it, any plugin or anything you can advise? I get so much lately it’s driving me insane so any help is very much appreciated. whoah this weblog is magnificent i like studying your articles. Keep up the good paintings! You realize, a lot of people are hunting round for this information, you can aid them greatly. Hiya, I’m really glad I have found this information. Today bloggers publish just about gossip and web stuff and this is actually irritating. A good website with exciting content, that is what I need. Thank you for making this website, and I’ll be visiting again. Do you do newsletters by email? Hello there. I found your website by the use of Google whilst looking for a related topic, your site got here up. It appears great. I’ve bookmarked it in my google bookmarks to visit then. I in addition to my friends happened to be following the good solutions found on your site and all of the sudden I got a horrible suspicion I had not thanked the website owner for those secrets. Most of the women happened to be for this reason happy to learn them and have truly been loving these things. We appreciate you indeed being indeed helpful and then for picking variety of impressive things millions of individuals are really desirous to know about. My very own honest regret for not saying thanks to sooner. Hiya, I am really glad I’ve found this information. Nowadays bloggers publish only about gossip and internet stuff and this is actually annoying. A good site with interesting content, this is what I need. Thanks for making this website, and I’ll be visiting again. Do you do newsletters by email? Hiya, I’m really glad I’ve found this information. Today bloggers publish only about gossip and net stuff and this is really frustrating. A good web site with interesting content, that’s what I need. Thank you for making this web site, and I’ll be visiting again. Do you do newsletters by email? Hello there. I found your website by the use of Google even as looking for a related topic, your site got here up. It seems to be great. I have bookmarked it in my google bookmarks to come back then. Hiya, I am really glad I have found this information. Nowadays bloggers publish only about gossip and net stuff and this is really annoying. A good blog with exciting content, that’s what I need. Thank you for making this website, and I’ll be visiting again. Do you do newsletters by email? Hey would you mind sharing which blog platform you’re working with? I’m going to start my own blog soon but I’m having a hard time selecting between BlogEngine/Wordpress/B2evolution and Drupal. The reason I ask is because your design seems different then most blogs and I’m looking for something completely unique. P.S Sorry for getting off-topic but I had to ask! Great website you have here but I was curious about if you knew of any user discussion forums that cover the same topics discussed in this article? I’d really like to be a part of online community where I can get suggestions from other knowledgeable individuals that share the same interest. If you have any suggestions, please let me know. Many thanks! Hello there. I found your web site by the use of Google at the same time as looking for a related matter, your website got here up. It appears great. I have bookmarked it in my google bookmarks to come back then. Hiya, I’m really glad I have found this information. Today bloggers publish just about gossip and internet stuff and this is really frustrating. A good site with exciting content, that’s what I need. Thank you for making this site, and I will be visiting again. Do you do newsletters by email? Hello there! This is my first comment here so I just wanted to give a quick shout out and tell you I really enjoy reading your blog posts. Can you suggest any other blogs/websites/forums that deal with the same subjects? Thanks for your time! Hello there. I found your site by the use of Google even as looking for a related subject, your website came up. It seems good. I have bookmarked it in my google bookmarks to visit then. Hi there. I discovered your blog by the use of Google even as looking for a related topic, your web site got here up. It seems great. I have bookmarked it in my google bookmarks to come back then. Have you ever considered about adding a little bit more than just your articles? I mean, what you say is valuable and everything. However imagine if you added some great graphics or videos to give your posts more, “pop”! Your content is excellent but with images and videos, this blog could certainly be one of the greatest in its niche. Amazing blog! My coder is trying to convince me to move to .net from PHP. I have always disliked the idea because of the expenses. But he’s tryiong none the less. I’ve been using Movable-type on a number of websites for about a year and am concerned about switching to another platform. I have heard excellent things about blogengine.net. Is there a way I can import all my wordpress posts into it? Any help would be greatly appreciated! Greetings! This is my first comment here so I just wanted to give a quick shout out and tell you I genuinely enjoy reading through your posts. Can you recommend any other blogs/websites/forums that deal with the same topics? Thank you so much! Hiya, I am really glad I have found this info. Nowadays bloggers publish only about gossip and web stuff and this is actually annoying. A good blog with interesting content, this is what I need. Thanks for making this web-site, and I’ll be visiting again. Do you do newsletters by email? Simply wanna comment on few general things, The website style is perfect, the written content is really wonderful : D.
Hello there. I discovered your website by means of Google whilst looking for a comparable matter, your site got here up. It seems to be great. I have bookmarked it in my google bookmarks to visit then. I am curious to find out what blog platform you’re utilizing? I’m experiencing some minor security problems with my latest website and I’d like to find something more safe. Do you have any suggestions? Hiya, I’m really glad I have found this info. Nowadays bloggers publish just about gossip and internet stuff and this is really annoying. A good blog with exciting content, this is what I need. Thanks for making this web-site, and I’ll be visiting again. Do you do newsletters by email? Hi there. I discovered your website via Google while looking for a similar matter, your site came up. It appears great. I’ve bookmarked it in my google bookmarks to visit then. I was looking at some of your content on this website and I conceive this site is real instructive! Continue posting. Hi there. I discovered your blog by the use of Google even as looking for a comparable topic, your site got here up. It appears good. I have bookmarked it in my google bookmarks to come back then. Hiya, I am really glad I’ve found this info. Today bloggers publish only about gossip and web stuff and this is actually annoying. A good web site with interesting content, that is what I need. Thank you for making this web site, and I’ll be visiting again. Do you do newsletters by email? Hello there. I found your site by the use of Google even as looking for a comparable topic, your web site came up. It looks great. I’ve bookmarked it in my google bookmarks to come back then. Hiya, I’m really glad I have found this info. Nowadays bloggers publish only about gossip and internet stuff and this is really frustrating. A good web site with interesting content, this is what I need. Thanks for making this web-site, and I’ll be visiting again. Do you do newsletters by email? Wow, awesome blog layout! How lengthy have you ever been running a blog for? you made running a blog look easy. The overall look of your website is great, let alone the content! You can certainly see your expertise in the work you write. The sector hopes for even more passionate writers like you who aren’t afraid to mention how they believe. All the time follow your heart. Hi there. I discovered your blog by means of Google while searching for a comparable topic, your web site came up. It looks great. I’ve bookmarked it in my google bookmarks to visit then. Hey there. I found your blog via Google while searching for a similar topic, your website got here up. It appears to be good. I’ve bookmarked it in my google bookmarks to come back then. I wish to show appreciation to you for rescuing me from this particular incident. Right after surfing throughout the online world and seeing suggestions that were not beneficial, I was thinking my life was done. Living minus the solutions to the issues you’ve fixed as a result of this review is a critical case, as well as ones which might have adversely damaged my entire career if I had not come across the blog. Your training and kindness in playing with all areas was tremendous. I don’t know what I would have done if I hadn’t encountered such a thing like this. It’s possible to now look forward to my future. Thanks so much for this impressive and results-oriented help. I won’t think twice to suggest the blog to any person who desires support about this matter. Hi there. I found your blog by means of Google while looking for a related matter, your site got here up. It seems to be good. I have bookmarked it in my google bookmarks to come back then. Hiya, I’m really glad I have found this info. Nowadays bloggers publish only about gossip and net stuff and this is really frustrating. A good blog with exciting content, that is what I need. Thank you for making this site, and I will be visiting again. Do you do newsletters by email? Hello there. I discovered your site via Google while searching for a related topic, your web site came up. It appears to be great. I’ve bookmarked it in my google bookmarks to come back then. Hello there. I discovered your web site by means of Google even as searching for a comparable matter, your site got here up. It seems great. I have bookmarked it in my google bookmarks to come back then. Hi there. I discovered your blog via Google whilst looking for a comparable subject, your site got here up. It seems good. I’ve bookmarked it in my google bookmarks to visit then. Hiya, I’m really glad I have found this information. Today bloggers publish only about gossip and internet stuff and this is actually annoying. A good site with exciting content, this is what I need. Thanks for making this site, and I’ll be visiting again. Do you do newsletters by email? Hiya, I’m really glad I’ve found this info. Nowadays bloggers publish only about gossip and web stuff and this is actually annoying. A good web site with exciting content, this is what I need. Thanks for making this website, and I’ll be visiting again. Do you do newsletters by email? Hey there. I discovered your website via Google even as looking for a similar matter, your website came up. It looks good. I’ve bookmarked it in my google bookmarks to come back then. Hiya, I am really glad I have found this info. Today bloggers publish just about gossip and web stuff and this is really annoying. A good site with exciting content, this is what I need. Thanks for making this web site, and I’ll be visiting again. Do you do newsletters by email? Hey there. I found your website via Google while searching for a similar topic, your site got here up. It seems great. I’ve bookmarked it in my google bookmarks to come back then. Hiya, I am really glad I have found this information. Today bloggers publish only about gossip and net stuff and this is really frustrating. A good blog with exciting content, that’s what I need. Thank you for making this site, and I’ll be visiting again. Do you do newsletters by email? Hiya, I’m really glad I have found this information. Nowadays bloggers publish only about gossip and internet stuff and this is really frustrating. A good web site with interesting content, this is what I need. Thank you for making this site, and I’ll be visiting again. Do you do newsletters by email? Hi there. I discovered your blog by means of Google even as searching for a similar topic, your web site got here up. It seems good. I have bookmarked it in my google bookmarks to visit then. Hiya, I’m really glad I’ve found this info. Nowadays bloggers publish just about gossip and internet stuff and this is actually frustrating. A good blog with interesting content, this is what I need. Thank you for making this website, and I will be visiting again. Do you do newsletters by email? Hi there. I found your blog by the use of Google while searching for a similar subject, your web site came up. It seems great. I have bookmarked it in my google bookmarks to visit then. Hey there. I discovered your site by means of Google whilst searching for a related matter, your site got here up. It appears to be great. I’ve bookmarked it in my google bookmarks to come back then. You actually make it appear so easy along with your presentation however I in finding this matter to be really one thing which I believe I’d never understand. It kind of feels too complicated and very huge for me. I am taking a look ahead for your next submit, I¡¦ll try to get the grasp of it! I am glad for commenting to let you know what a remarkable discovery our daughter gained studying your web site. She even learned many things, most notably what it’s like to possess an amazing giving nature to get folks effortlessly learn about several specialized issues. You actually did more than our expectations. Many thanks for coming up with the insightful, dependable, revealing and as well as unique thoughts on this topic to Emily. Hello there. I found your website by means of Google at the same time as searching for a related subject, your web site came up. It seems to be good. I have bookmarked it in my google bookmarks to come back then. to accomplish witһ Girl gaga! Your indіｖiԁual ѕtuffs outstɑnding. Always care foｒ it up! Hey! Someone in my Facebook group shared this site with us so I came to check it out. I’m definitely loving the information. I’m bookmarking and will be tweeting this to my followers! Exceptional blog and amazing style and design. My developer is trying to convince me to move to .net from PHP. I have always disliked the idea because of the costs. But he’s tryiong none the less. I’ve been using WordPress on a variety of websites for about a year and am nervous about switching to another platform. I have heard excellent things about blogengine.net. Is there a way I can import all my wordpress content into it? Any help would be really appreciated! My partner and I absolutely love your blog and find the majority of your post’s to be exactly I’m looking for. can you offer guest writers to write content to suit your needs? I wouldn’t mind creating a post or elaborating on some of the subjects you write related to here. Again, awesome blog! Hello there. I discovered your site by the use of Google at the same time as searching for a related matter, your web site got here up. It seems to be good. I’ve bookmarked it in my google bookmarks to come back then. Hello there. I found your site via Google at the same time as searching for a similar topic, your web site got here up. It appears to be great. I’ve bookmarked it in my google bookmarks to come back then. Hiya, I’m really glad I’ve found this information. Today bloggers publish just about gossip and net stuff and this is really irritating. A good web site with exciting content, that is what I need. Thanks for making this website, and I’ll be visiting again. Do you do newsletters by email? Hiya, I am really glad I’ve found this information. Today bloggers publish just about gossip and net stuff and this is really frustrating. A good web site with interesting content, this is what I need. Thank you for making this site, and I’ll be visiting again. Do you do newsletters by email? Hiya, I’m really glad I have found this info. Nowadays bloggers publish only about gossip and net stuff and this is actually irritating. A good site with exciting content, that is what I need. Thanks for making this site, and I will be visiting again. Do you do newsletters by email? Hiya, I’m really glad I have found this information. Nowadays bloggers publish just about gossip and net stuff and this is actually annoying. A good site with interesting content, that’s what I need. Thank you for making this web-site, and I will be visiting again. Do you do newsletters by email? Hiya, I’m really glad I’ve found this info. Nowadays bloggers publish only about gossip and net stuff and this is really irritating. A good blog with exciting content, that’s what I need. Thanks for making this web-site, and I will be visiting again. Do you do newsletters by email? Hey there. I found your website via Google even as searching for a comparable subject, your site got here up. It seems great. I have bookmarked it in my google bookmarks to visit then. Hey there. I discovered your web site by the use of Google whilst looking for a comparable matter, your website got here up. It appears to be good. I have bookmarked it in my google bookmarks to visit then. Hiya, I am really glad I have found this info. Nowadays bloggers publish only about gossip and net stuff and this is really irritating. A good site with exciting content, that is what I need. Thank you for making this web-site, and I will be visiting again. Do you do newsletters by email? Hi there. I discovered your site via Google at the same time as looking for a comparable subject, your web site got here up. It seems great. I have bookmarked it in my google bookmarks to come back then. Hey there. I found your web site by means of Google while looking for a similar subject, your site got here up. It appears to be good. I’ve bookmarked it in my google bookmarks to come back then. I not to mention my buddies were actually digesting the nice secrets and techniques on your web site then all of a sudden got a terrible suspicion I had not thanked the web site owner for those tips. All the young men are already for that reason excited to read through them and have clearly been tapping into them. I appreciate you for really being well thoughtful and then for picking out this kind of remarkable subject areas millions of individuals are really wanting to discover. Our honest apologies for not saying thanks to you earlier. Hiya, I’m really glad I’ve found this info. Today bloggers publish only about gossip and web stuff and this is actually frustrating. A good website with exciting content, that’s what I need. Thank you for making this site, and I’ll be visiting again. Do you do newsletters by email? Hiya, I’m really glad I have found this info. Nowadays bloggers publish just about gossip and net stuff and this is really annoying. A good web site with exciting content, that’s what I need. Thank you for making this site, and I will be visiting again. Do you do newsletters by email? Hey there. I found your blog by the use of Google whilst searching for a comparable subject, your web site got here up. It appears good. I have bookmarked it in my google bookmarks to come back then. Thank you for any other informative website. The place else may I am getting that kind of information written in such a perfect way? I have a challenge that I’m simply now working on, and I have been on the glance out for such info. I’m still learning from you, while I’m improving myself. I absolutely love reading all that is written on your site.Keep the stories coming. I loved it! Thanks a lot for providing individuals with an extraordinarily nice opportunity to read in detail from this blog. It is always so fantastic and as well , packed with a good time for me personally and my office peers to search your web site at least thrice every week to see the newest things you will have. Not to mention, I’m just at all times astounded with the effective creative ideas served by you. Certain 4 tips in this article are in reality the very best I’ve had. Wonderful post but I was wanting to know if you could write a litte more on this topic? I’d be very thankful if you could elaborate a little bit further. Bless you! Hello, i read your blog occasionally and i own a similar one and i was just curious if you get a lot of spam responses? If so how do you stop it, any plugin or anything you can suggest? I get so much lately it’s driving me insane so any assistance is very much appreciated. My partner and I absolutely love your blog and find most of your post’s to be just what I’m looking for. Do you offer guest writers to write content for you? I wouldn’t mind creating a post or elaborating on a lot of the subjects you write with regards to here. Again, awesome web log! Hello there. I discovered your site by way of Google whilst searching for a comparable matter, your site got here up. It seems good. I’ve bookmarked it in my google bookmarks to visit then. Hiya, I am really glad I’ve found this info. Today bloggers publish only about gossip and net stuff and this is really annoying. A good blog with interesting content, that’s what I need. Thanks for making this web-site, and I will be visiting again. Do you do newsletters by email? Hey there. I discovered your site via Google while looking for a related matter, your website got here up. It seems great. I have bookmarked it in my google bookmarks to come back then.